Shailesh J. Mehta School of Management (SJMSOM), IIT Bombay has concluded the final placements for the batch of 2017 with the top salary offered being Rs 29.9 lakhs. 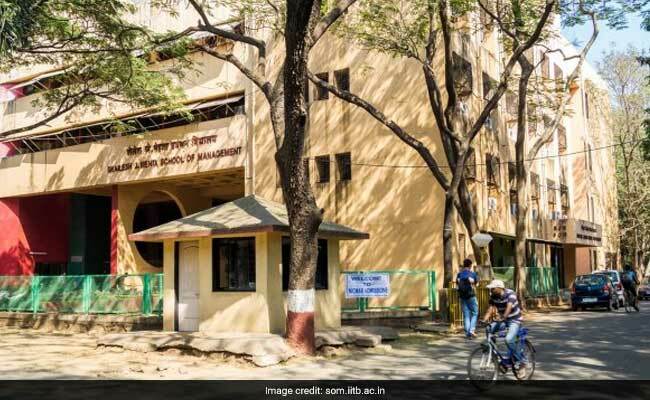 New Delhi: Shailesh J. Mehta School of Management (SJMSOM), IIT Bombay has concluded the final placements for the batch of 2017 with the top salary offered being Rs 29.9 lakhs. The placement figures for the batch ended on a high note with an average salary of Rs 17.63 lakhs and the top 30% of the batch securing a remarkable average package of Rs 24.48 lakhs. A total of 52 companies participated in the placement drive, including 17 new recruiters offering diverse profiles across multiple domains. 48 participating students were offered PPO/PPIs. The new companies visiting the campus include marquee recruiters such as DE Shaw, SAP, Whirlpool, Pidilite, Siemens, Britannia, JLL, Godrej & Boyce, CRISIL as well as public sector companies like IOCL with profiles offered in consulting, finance, operations, sales and marketing, among other domains. The manufacturing and consulting sector dominated the placements with 24% and 22% of the participating students securing offers from these segments respectively. 20% of the students bagged offers in the IT sector, 15% in BFSI, 14% in FMCG and the rest bagged offers in healthcare and other sectors. FMCG giants, including Asian Paints, BCCL, Britannia, Colgate-Palmolive, Johnson & Johnson, L'Oreal, Marico, Mondelez, Nestle, P&G, and Pidilite Industries offered profiles such as sales & marketing, supply chain management, operations, and IT. The BFSI sector witnessed giants like Goldman Sachs, J.P. Morgan Chase, DE Shaw, BNP Paribas, Ocwen Financial Solutions, Axis Bank, CRISIL, ICICI, Invesco, Indus Valley Partners, Trafigura, and Yes Bank visiting the campus and offering roles in corporate treasury, commodity trading, corporate banking, business analysis & research, and relationship banking. Major consulting and IT firms like Accenture, Capgemini, Cisco, CitiusTech, Deloitte, eClerx, Feedback Infra, GEP, Google, Inspirage, Latent View, MAQ Software, PwC, SAP, and Wipro offered coveted roles in Strategy & Operations Consulting, Management Consulting, Technology Consulting, Digital Marketing, Data Analytics and Security Solutions. Along with these, niche real estate firms like JLL also offered roles in real estate consulting. The manufacturing sector saw participation from firms such as Avery Dennison, Cummins India, Godrej & Boyce, Indian Oil Corporation, Lava International, Siemens, Tata motors, Vedanta Resources and Whirlpool, offering profiles in international business, operations, sales & marketing, systems, and vendor management. SJMSOM also saw participation of companies from various other sectors such as healthcare, telecommunications, and logistics. Companies such as Cochlear, Vodafone and Fed-Ex offered roles in sales & marketing, operations, and supply chain management.